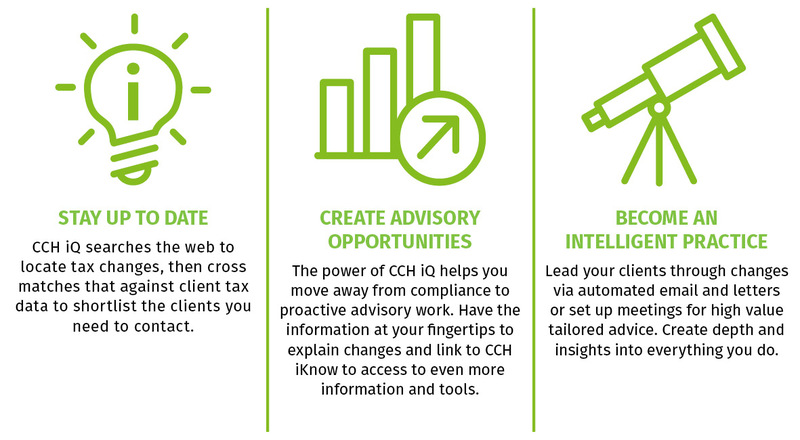 If your firm already uses Xero Tax and wants to keep up with the tax changes Australian individuals and businesses need to know about – now is the time to integrate with CCH iQ and build that lucrative advisory practice you’ve always wanted. 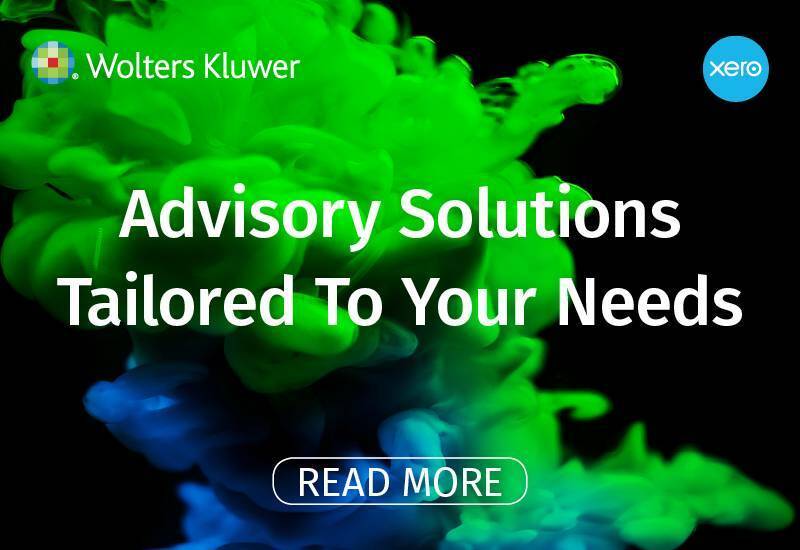 With the advances in open integration in tax and practice management software for accounting firms, there never has been a better time to make the leap from compliance to advisory. There has never been more information and regulatory complexity for Australian accounting firms. And what’s more clients expect more from their accountant than ever before. This puts us all under pressure to improve productivity levels and client outcomes whilst delivering transformational tax and accounting services to meet these rising client demands. If you currently find yourself missing opportunities to keep your clients up to date with the changes they need to know about because you just don’t have the time to track, locate, review and assess each change – and draft a letter to each client on how it could impact them directly, consider how Xero Tax and CCH iQ can work together to maximise your efficiency and create new business opportunities. It’s a great way to grow your practice and provide a better service for your clients. CCH iQ has a specially built web crawling engine to automatically source stories with keywords and phrases that relate to tax changes. Every time we find a tax change that may impact your clients, we match it to your client profile and shortlist which of your clients could be potentially affected by the changes. Our practical tool kit provides letters, checklists, calculators, impact statements and more to help you contact clients and add the intelligent accounting value your clients want. Our plan is to help you better know and engage with your clients. Xero Tax users can now update client data in one database and synchronise this with the database in CCH iFirm, saving you time and helping keep your data accurate to best suit your business and budget needs. Learn more about how Xero Tax and CCH iQ can help you keep up with the tax changes Australian individuals and businesses need to know about – and build the advisory practice your clients want. Visit https://www.cchifirm.com.au/xero/ to learn more about our free trial for Xero Tax or CCH iQ or register for our early access program.